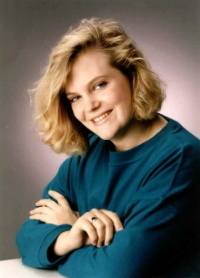 Our daughter, Kaitlyn Arquette, 18, was murdered in Albuquerque on July 16, 1989. The Albuquerque Police Department dubbed the murder a "random drive-by shooting" and refused to investigate any other possibility, despite strong evidence that Kait was deliberately murdered because she was preparing to blow the whistle on organized crime that appears to be protected by certain police officers. On the night she was killed, Kait came by our home to tell us that she was breaking up with her live-in Vietnamese boyfriend, Dung Nguyen. She said she was going to visit a friend and if Dung called trying to find her not to say where she was. When she left her friend's house at 10:30 p.m., driving in the direction of our house, she was shot to death in her car. While we were at the hospital waiting for Kait to die, a friend of Kait's told us that Dung Nguyen and his friends were involved in an interstate insurance fraud ring that Kait had threatened to expose. The following night we called police to our home and gave this information to the case detective. The report of that meeting, (the only one APD ever had with our family), was withheld from Kait's case file. With the help of private investigators and insurance claims investigators, we uncovered extensive information about this crime ring. An Quoc Le, the Albuquerque control man for the insurance scam, was Dung's alibi for the night of the shooting. 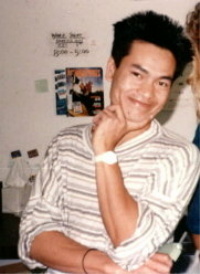 The capper in Orange County, CA, has been identified as Bao N. Tran, housemate of convicted arsonist, Hong Phuc Duy Van. An Quoc Le would hire people from Albuquerque to fly to California, rent or steal cars, and then stage wrecks, claiming fake injuries. Bao Tran would pay the participants $1,500, while he and the crooked doctors and lawyers would rake in the Big Money. At our insistence, the case detective interviewed Dung, who confessed to personal involvement in two staged wrecks, one of which Kait witnessed. Dung subsequently told Deputy D.A. 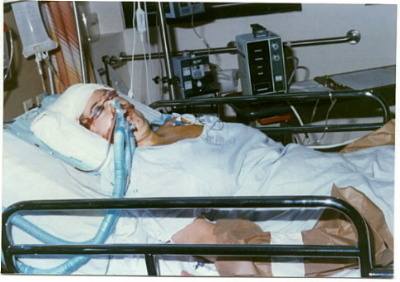 Susan Riedel that he knew of up to 20 other people in Albuquerque who were also involved. APD did not question these people and did not share the information with law enforcement authorities in California. 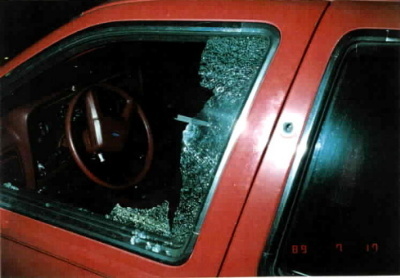 Several members of this crime ring have since been identified as car thieves, interstate drug dealers and participants in a racket to steal and sell computer chips. APD has never taken statements from any of those subjects. -- An affidavit from a witness stating that Dung phoned her before midnight to tell her Kait was dead. This was three hours before police informed Dung of the shooting. -- An affectionate note Dung told police Kait left for him that police consider evidence that Kait wasn't breaking up with him. A handwriting expert has verified that the note is not in Kait's handwriting. -- Phone calls made by An Quoc Le from Kait's apartment as soon as Kait died to inform Bao Tran, the insurance fraud capper in California. -- Information in Kait's apartment file that she was terrified of Dung's friends and shortly before her murder had her locks changed to keep them out, but they broke in anyway, and she fled to the manager's apartment for fear of physical assault. -- The fact that within days after Kait's murder, five people closely linked to her case suffered mysterious slashings and stabbings, apparent attempts to intimidate witnesses. -- The presence at the crime scene of Paul Apodaca, a man who is linked to An Quoc Le and is also linked to APD through his alleged drug dealer, Lee, who is the brother of an APD undercover narcotics agent. Police allowed Apodaca to leave the scene, and never questioned him as either a suspect or witness, despite the fact that Apodaca had a long court record of violent assaults upon women. Private investigation has revealed that Dung Nguyen's criminal group was linked to a small group of rogue cops, several of whom have since been convicted of such felonies as burglary, bank robbery and murder of a witness. Those cops held late night parties at an auto body shop one half block north of the crime scene. That establishment has since been raided by the F.B.I. ; Alcohol, Tobacco and Firearms; APD; and the Department of Public Safety; guns were confiscated, and the owner’s son was arrested for drug dealing. Vietnamese in expensive cars frequented that body shop, which was also reportedly a chop shop for stolen vehicles. When the VW bug fled the crime scene, it went directly to that body shop. A police cover-up appears to have started at the crime scene when the first officer at the scene, APD Violent Crimes Detective Ronald Merriman, ignoring the bullet holes in Kait's car and a blood drenched girl sprawled across the front seat with her brains blown out, called in a report of an accident with no injuries. Statements from Merriman and the second officer at the scene are a tangle of contradictions, and both officers allowed Paul Apodaca to leave the scene without getting his identifiers. Most bewildering of all, both officers then left the scene themselves. The medics who transported Kait to the hospital have stated in an affidavit that they almost missed the scene because there was no one there to wave them over. There were no cops or police cars -- just Kait all alone in her car on an empty street with two bullets in her head. The ambulance driver said, "It was so quiet it was eerie!" Six months after the shooting, as the result of a Crime Stoppers tip, police arrested three Hispanic men for Kait's murder. Those men were apparently set up, as APD's "eyewitness" was in jail on the night of the shooting. The district attorney dropped all charges against the Hispanics and directed the police to investigate the Vietnamese. Instead, APD terminated their investigation stating that they would never make further arrests. In 1992, when police dropped off Kait's unsolved case, her mother, Lois Duncan, wrote a book, WHO KILLED MY DAUGHTER?, to motivate informants. 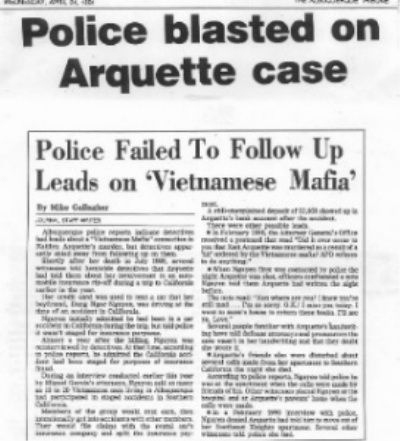 That book elicited a flood of new information that convinced our family that the criminal activities Kait was planning to expose were not confined to the Vietnamese community. We were told by several unrelated sources that Kait was playing a dangerous game of Nancy Drew. Certain members of her boyfriend's group allegedly leaked information about political VIPS involved in the New Mexico drug scene, and Kait was attempting to confirm their identities. In 1999, our private investigator attempted to turn over all the new information from our extensive personal investigation to the APD Cold Case Squad, but they refused to review it. They said Kait's case has been closed as a random drive-by shooting and they will not follow up on any information that indicates otherwise. The Arquette family has long believed that Kait was killed because she had learned too much about influential people involved in the New Mexico drug trade. It now appears their suspicions might be justified. In May 2004, Chief Judge John Brennan of Albuquerque was arrested on narcotics charges. That opened a can of worms that may affect a number of cases on this web site. In June 2004, KRQE TV aired information from a confidential narcotics report about drug activities involving, not only Judge Brennan, but numerous other prominent NM judges, attorneys and members of the state legislature dating back to before Kait was murdered. "It draws on a variety of sources and reads like a Who's Who of the New Mexico drug underworld," the reporter said. "Judges, lawyers, politicians, sports celebrities and prominent businessmen appear in the report right along side the State's narcotics kingpins." David Iglesias, US Attorney for New Mexico, called the detailed document about drug smuggling and money laundering in New Mexico "a page-turner I couldn't put down." The Arquettes and other NM families who believe their loved ones were killed because they "knew too much," (Peter Klunck, Ramona Duran, Stephen Haar, etc. ), are eager to learn the identities of the VIP drug traders whose names are contained in that report. But they have been told that those names cannot be released, because the VIPs have not been arrested. For additional information about this case read Who Killed My Daughter? by Lois Duncan and/or visit the Kaitlyn Arquette investigative web page at http://kaitarquette.arquettes.com.